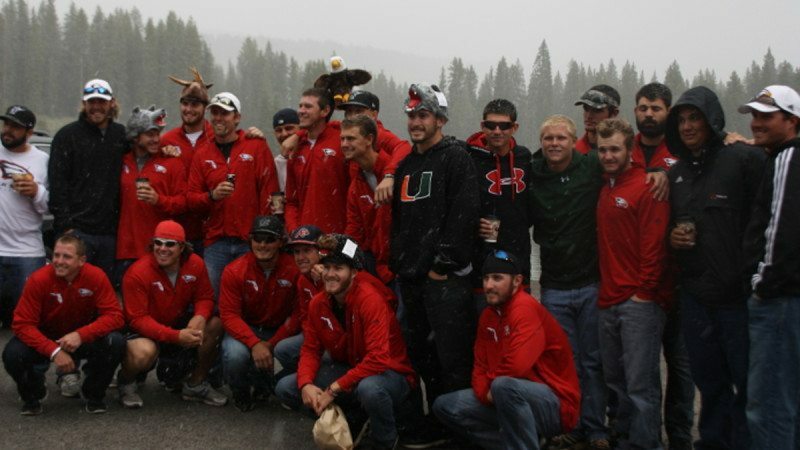 The Polk State Baseball team saw snowfall during their Sunday tour of Grand Mesa, where they had a snowball fight at more than 10,000 feet above sea level. No matter the outcome of the NJCAA JUCO World Series, one thing is certain: In only a matter of days, the most successful sophomore class in the history of Polk State Baseball will scatter to their own individual futures. The impact they’ve had on the College, meanwhile, will last for years to come. 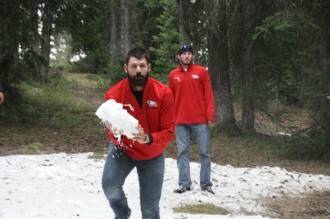 Chris Waltermire (RHP) lifts a giant snowball during the team’s Sunday tour of Grand Mesa. Tyus, reflecting on the Baseball program at the College, said it knew some inconsistency in the last 10 years or so, but a lot of groundwork was being laid for success, including the ability to offer more scholarships and attract the current coaching staff. The sophomore class has added much to that building momentum. “Hopefully that gets passed on to the freshmen and so on and so on,” said Tyus, who coached baseball for the College for 15 years until becoming athletic director in 1998. To talk with the sophomore class — and to watch them here in Grand Junction, Colo., as they throw snowballs and sing on the team bus — it’s clear that for all their success, they’re just guys who like to be with each other and play ball. “We’re all just a bunch of misfits who came together by luck and developed into a team,” said Szczerba. In their time together, they’ve bonded over Thursday Jersey Shore nights, fishing and bullfrog catching. Now, in Grand Junction at the pinnacle of their success, they’re bonding even more, experiencing snow and the Grand Mesa, 5,000-plus crowds and tough competition —all together, as a team. “It’s like a family. 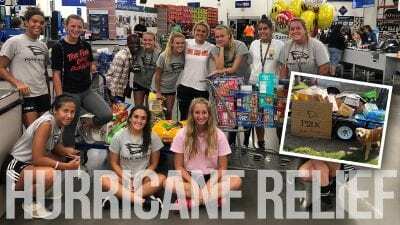 We’re all really comfortable with each other,” said Waltermire. In these last few days — win or lose, the NJCAA JUCO World Series ends Saturday —the focus is on winning, of course, but that’s not to say there isn’t some acknowledgement of the finality of it all. These days are precious. “It’s bittersweet. But we’re planning reunions. The first one will be Christmas Break,” Szczerba said. 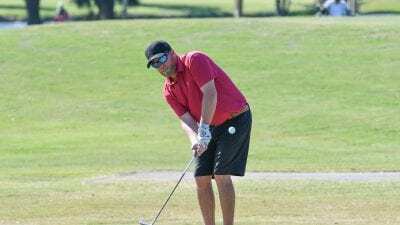 Standing on the porch at Mesa Lakes Resort, Head Coach Al Corbeil said this class of sophomores will always be dear to him, even more so because they’re experiencing the same things in Grand Junction that he did in 1999 as a player for national contender Manatee Community College (now State College of Florida). 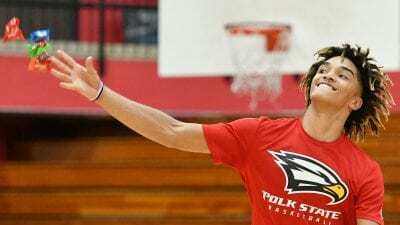 “They’ve helped set the standard for what we want to do with Polk State Baseball. They’ll always have a special place in my heart and in the coaching staff’s heart,” Corbeil said.